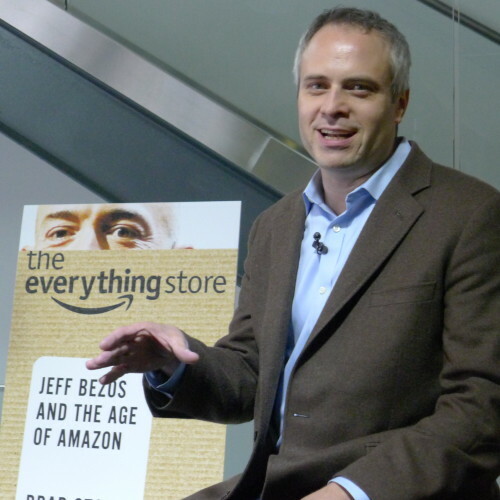 As part of our tech book club, I’m thrilled to present an interview with seasoned journalist Brad Stone, author of “The Everything Store”, a book on the genesis of Amazon, and its vivacious founder, Jeff Bezos. The book is detailed, enthralling, and even a bit controversial, which makes it an awesome subject for an interview. Michael Sitver: Why did you choose to write this book specifically? Brad Stone: Over the past few years, there have been well-reported, insightful books about Google, Apple, and Facebook. These technology companies, along with Amazon, are changing the world. I thought there was an opportunity to finally tell the Amazon story – one of the first companies on the Internet, which has changed the way we shop and read. Michael Sitver: Walk me through the process of researching and writing this book. Did you plan out the plot line, and then seek out sources to make your points, or did you let the book develop as you researched? Brad Stone: I just started finding people via LinkedIn – current and former Amazon employees – and asking to talk to them. I had an original goal to talk to at least 200 Amazon folks and to assemble a list of 100 great anecdotes – key, moments in the history of the company. I kept a list in a notebook of scenes I thought qualified. I also solicited Amazon’s support for the project and got some basic cooperation from Jeff Bezos, who let me talk to members of his senior team and various friends and family. As I talked to people, I kept outlining and re-outlining the book. In the summer of 2012, I took about four months off of work and cranked out a first draft. Michael Sitver: What were the most difficult parts of writing this book? Brad Stone: When the story is as good as Amazon’s, and Jeff Bezos’s, it’s really not that difficult. You just follow the straight line – in this case, from three guys in a garage to a company that employees 125,000 people. I guess if there was anything that was difficult, it was keeping the narrative straight in the years between 2004 and 2007, when Amazon comes up with the Kindle, Amazon Web Services (the cloud business) and Amazon Prime, all in the same time frame. Michael Sitver: What would you say is the most important takeaway from “The Everything Store”? Brad Stone: Technology businesses led by a visionary founder on a mission have a huge advantage over companies lead by operators, who pay more attention to outside influences like Wall Street. Michael Sitver: How do you draw the line between narrative, and fact? What does it take to tell a factually-accurate, but narratively interesting story? Brad Stone: I think it requires being streamlined in your approach and knowing when to pare back on the facts. For instance I did not want to get too bogged down in the technical details around AWS[Amazon Web Services], for example; or to get too deep into a cast of characters that readers may not be able to keep track of. So I guess I’m saying facts should be subservient to the story. If facts bog down the narrative, they have to go. Michael Sitver: Now I want to move on to the book itself. Is this a book about Amazon, or a book about Bezos, or are the two so interconnected, that it’s impossible to separate them? 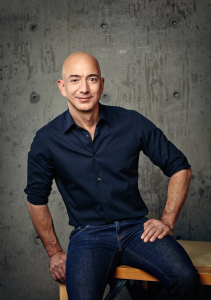 Michael Sitver: You spend much of the book discussing the bizarre genius and drive of Jeff Bezos. How would you summarize Jeff Bezos in terms of character, personality, and drive? Brad Stone: Unlimited energy, limitless spring of ideas. He’s a builder and is energized by opportunities to invent things – that’s why he bought the Washington Post. I’d also say he’s demanding and impatient of anything less than the best effort of his employees. Michael Sitver: In one part of the book, you mention a memo that Bezos wrote called “Amazon.love”, and you also describe his ambition to make Amazon a “missionary”, rather than a “mercenary” company. Is this how he wants Amazon perceived, or how he would like the company to actually behave? Brad Stone: That’s a smart distinction! I think it’s how he wants his company to be perceived. The interest in being loved does not seem to have affected his attitude towards, for example, the major book publishers. Michael Sitver: How can Amazon possibly reconcile these ambitions, with their adversarial behavior (See Chapter 10 with Wusthof knives)? Brad Stone: Amazon is very good at reconciling! It believes the mechanics of its website are oriented purely at satisfying the customer. So in the case of Wusthof, the prices kept falling because Amazon was matching the low prices of other sellers on the Internet. 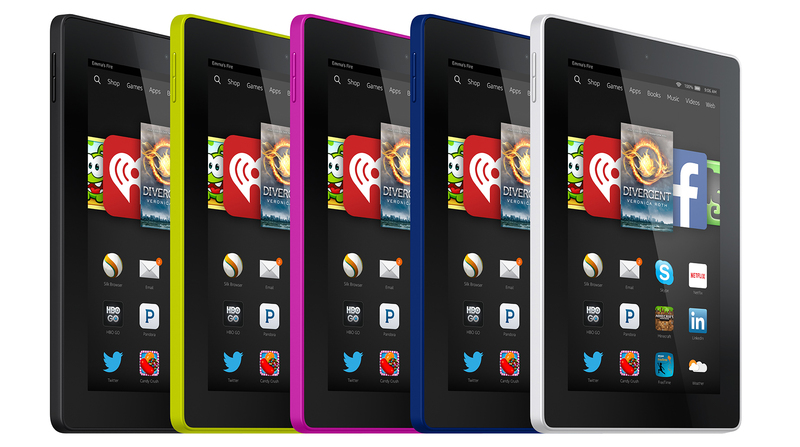 Amazon would say its in the best interest of its customers to get the very best price. For Wusthof of course, it put extraordinary pressure on its small offline retailers who had built its brand. Michael Sitver: Bezos betrayed friends, suppliers, and entire industries (like “Operation Gazelle”). He wouldn’t even provide air-conditioning to overheating warehouse employees, until he was forced to. Why does he act as coldly as he does? Brad Stone: In the case of the non-air conditioned Fulfillment Centers, Amazon made a bet that facilities in certain parts of the country wouldn’t need pricey systems. It was a huge mistake, as the heatwave of 2012 showed. In the case of the Gazelle project, Amazon was doing what retailers like Walmart have always done – use scale to extract concessions from suppliers and pass the savings to customers. Michael Sitver: In your book, you describe the company culture at Amazon as secret, and very heavily controlled, and shaped by Amazon PR. How did you manage to convince so many high-profile current and former Amazon employees to speak with you on the record? How eager were they to talk about their experiences? Brad Stone: I actually found quite a bit of pride, particularly among former Amazon execs, and a willingness to talk about their time in the eye of the storm. Amazon is demanding, but they accomplished a lot there, and many were eager to talk about it. Amazon allowed some current executives to talk to me as well. They knew I was going to write the book anyway and wanted to make sure their perspective was well represented. Michael Sitver: You often brought up examples of Amazon’s frugality. You spoke of how Bezos refused to match Google’s benefits (free food, free transportation etc)., and payed his people less than the industry standard, despite the goal of “raising the company’s overall hiring bar” constantly. Isn’t this counterintuitive? Brad Stone: Frugality is a core value at Amazon, as it is at Walmart and Costco. Frugality sends a message to employees, that they must build a cost structure that will support low prices. In this respect, Amazon behaves more like a retailer than a technology company like Google. Michael Sitver: Amazon seemed ready to spend massive amounts on acquisitions, and knocking out competitors. They spent $120 million on purchasing toys, many of which they knew they would lose money on. Why was Bezos so willing to spend money on risky projects, and companies, but so unwilling to spend it on his own people? Brad Stone: In the early years, the expenditures on things like toys were about guaranteeing a good customer experience via wide selection. Later acquisitions were about extending Amazon into new product categories, and in the case of Diapers.com, keeping a good team away from Walmart. I also disagree that Amazon doesn’t pay its people well. Salaries are industry average and of course there is equity – which over the past decade has appreciated quite nicely. Amazon does weight stock compensation toward the back end of four year cycles though. It wants to ensure people stick around in what is a demanding work environment. Michael Sitver: Using “Endless.com”, Bezos priced Zappos CEO Tony Hsieh into a corner. Still, Amazon’s site was seeing very little success, despite massive costs. They couldn’t have kept up the torrent for much longer. Do you think that Hsieh made the right decision in selling Zappos? Brad Stone: Tony backed himself into a corner, in large part. Zappos had raised a lot of debt to run its operations and ran smack into the financial meltdown and recession. At the same time, it was having trouble hiring people in Las Vegas. Yes, he also faced a focused competitor in Amazon. I think he had to sell. In the process, he guaranteed Zappos’ corporate culture was preserved. Michael Sitver: You spoke briefly in the book about Bezos’s ambitions to remake the media industry. What do you think his plans are for the Washington Post, and how does it help him to advance his goals? Brad Stone: I think he wants to build the Washington Post into an international news brand. His strategy is the same as it was at Amazon – to grow, to invest, and to try new things. We don’t know yet if he has a personal agenda for it. I suspect perhaps some day we will see the Post content nourish the Amazon world of Kindle devices. We’ll see. Michael Sitver: For much of the book, and much of Amazon’s history, Amazon was teetering on the edge of both failure and success. At present, it’s an incredible success. What would you say was the most pivotal moment (the turning point) in Amazon’s history? Brad Stone: The turning point was figuring out how to efficiently run the fulfillment centers. Everything Amazon built stemmed from that – free shipping, Amazon Prime, and now much of the marketplace business and fulfillment by Amazon, in which Amazon stores and ships other retailers’ goods. That was the key turning point – the journey from 1999 to around 2002 to make those massive facilities work well. Michael Sitver: When you discuss Amazon Prime, and its genesis, you express the belief that it was created entirely to further Bezos’s goal of making Amazon the store that sells everything to everyone. Now Amazon has raised the price of prime, and added in features like Prime Music, and expanded film content. Is Prime still meant as a way to motivate Amazon’s top customers to buy more, or has it evolved into something else? Brad Stone: It has evolved somewhat, into a diverse loyalty club for Amazon’s best customers. But the basic idea is still there – take the hassle out of online buying by removing shipping costs, and improve convenience with two day delivery. You could argue that the free movies actually just replaces the value that has been lost as Prime members have stopped buying DVDs. Michael Sitver: This book caused some controversy when it came out. Mackenzie Bezos, Jeff’s wife, posted a one-star review of your book on Amazon. Other Amazon employees rallied to the book’s defense. Did you fear that publishing this book might damage your relationship with the company, and affect your access when reporting in the future? Given Amazon’s history of retaliating against companies that wouldn’t submit to their will, did your publisher fear retribution? Brad Stone: I was deluded enough to think Amazon would like the book. That perhaps is an author’s hubris. My publisher was fearful. Amazon has a reputation in book circles, deserved or not, as a bully. So they gave me a pretty thorough legal vetting. Michael Sitver: You talk in the book about how some Amazon investors wanted to replace Bezos with “adult supervision”. What would Amazon look like today, had they chosen to do that? Brad Stone: Amazon would like more like eBay, which just today announced it was spinning off PayPal. ‘Adult supervision’, a.k.a seasoned operators tend not to have the passion, vision or credibility to lead technology companies in a rapidly changing world. Keeping Bezos as CEO was the best decision the Amazon board ever made. Now I have just a few more questions on you, and what’s next. Michael Sitver: Knowing as much as you do about “how the sausage is made”, do you still shop with Amazon? 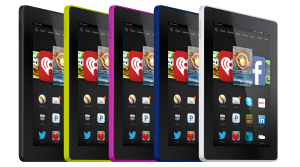 Brad Stone: I do – I’m a Prime member, a Kindle and Kindle Fire owner, even a Fire Tv owner. I also love some of its new shows. So I guess I’m an Amazon addict. I do try to buy physical books locally though. I value my neighborhood bookstores. Michael Sitver: What can we expect from you next? What books are coming down the pipeline? Brad Stone: I’d love to write a book on the unique culture of Silicon Valley, particularly techie San Francisco, which has emerged over the last few years. This is a historic time with lots of huge franchises being built, like Uber and AirBnB. It’s a much more complicated story to tell though, with a limitless number of characters and companies. Special thanks to Brad Stone for this fascinating interview. Since you’ve read this far, I can tell you that our next book will be Steven Levy’s “In The Plex”, an in-depth profile on the founding and development of Google. It’s another great read, and if all goes well, we’ll have an interview with Mr. Levy as well. Once you’ve read, submit your questions for Mr. Levy using this form.